2018. HENRY RUSSELL WALTER, JASON GREGORY EVIGAN, BRITTANY TALIA HAZZARD, ADAM NOAH LEVINE, GIAN STONE. 2018. Adam Noah Levine, Jason Gregory Evigan, Henry Russell Walter, Brittany Talia Hazzard, Gian Stone. 2018. Adam Noah Levine, John Ryan, Jacob Kasher Hindlin, Ammar Malik. 2015. Adam Levine, Johan Schuster. 2015. ADAM LEVINE, JACOB KASHER HINDLIN, JOSHUA COLEMAN, LUKASZ GOTTWALD, MIKE POSNER, PEDRO CANALE. 2014. ERIKSEN, MIKKEL / HERMANSEN, TOR / LEVIN, BENJAMIN / RUESS, NATE / LEVINE, ADAM / MALIK, AMMAR. 2014. LEVINE, ADAM / CARMICHAEL, JESSE ROYAL / DUSICK, RYAN MICHAEL / VALENTINE, JAMES B. / MADDEN, MICHAEL ALLEN. 2014. FLYGARE, MICHEL / JIMSON, TOBIAS / LEVINE, ADAM / SCHUSTER, JOHAN. 2014. JOHNSON, JORDAN KENDALL / EVIGAN, JASON / LOMAX, MARCUS / MARTIN, SAMUEL / LEVINE, ADAM NOAH / JOHNSON, STEFAN. 2014. GOERRES, OSCAR MICHAEL / SHELLBACK, - / LEVINE, ADAM NOAH. 2014. FURLER, SIA / JERKINS, RODNEY / LINDAL, ANDRE / BLANCO, BENNY / LEVINE, ADAM. 2014. LEVIN, BENJAMIN JOSEPH / EPWORTH, PAUL RICHARD / LEVINE, ADAM / MALIK, AMMAR / SCHUSTER, JOHAN KARL. 2014. BRISEBOIS, DANIELLE / ALEXANDER, GREGG / LASHLEY, NICK / SOUTHWOOD, NICK. 2014. BENJAMIN JOSEPH LEVIN, ADAM LEVINE, AMMAR MALIK, JOHAN KARL SCHUSTER. 2014. ADAM LEVINE, JAMES VALENTINE, JAMES B. VALENTINE, JESSE ROYAL CARMICHAEL, MICHAEL ALLEN MADDEN, MICKEY MADDEN. 2014. ADAM LEVINE, JAMES VALENTINE, JESSE ROYAL CARMICHAEL, MICKEY MADDEN. 2014. Adam Levine, Johan Schuster, Levin Benjamin. 2014. BENJAMIN JOSEPH LEVIN, JOHAN KARL SCHUSTER, ADAM LEVINE. 2014. SAM FARRAR, ADAM NOAH LEVINE, JESSE ROYAL CARMICHAEL, MICHAEL ALLEN MADDEN, JAMES B VALENTINE. 2014. LEVIN, BENJAMIN JOSEPH / SCHUSTER, JOHAN KARL / LEVINE, ADAM. 2014. GREEN, AL L. / JACKSON, AL JR. / MITCHELL, WILLIE. 2014. BENJAMIN JOSEPH LEVIN, ADAM LEVINE, AMMAR MALIK, RYAN B. TEDDER, NOEL PATRICK ZANCANELLA. 2014. GOLAN, ROSS / CARLSSON, JOHAN JENS ERIK / LEVINE, ADAM NOAH. 2014. POSNER, MIKE / KASHER HINDLIN, JACOB / LEVINE, ADAM / GOTTWALD, LUKASZ / COLEMAN, JOSHUA / CANALE, PEDRO. 2014. ADAM LEVINE, JAMES VALENTINE, JAMES B. VALENTINE, JESSE ROYAL CARMICHAEL, MICHAEL ALLEN MADDEN, MICKEY MADDEN, RYAN MICHAEL DUSICK. 2012. CARMICHAEL, JESSE ROYAL / DUSICK, RYAN MICHAEL / LEVINE, ADAM / MADDEN, MICKEY / VALENTINE, JAMES. 2012. LEVINE, ADAM / CARMICHAEL, JESSE ROYAL / DUSICK, RYAN MICHAEL / VALENTINE, JAMES / MADDEN, MICKEY. 2012. 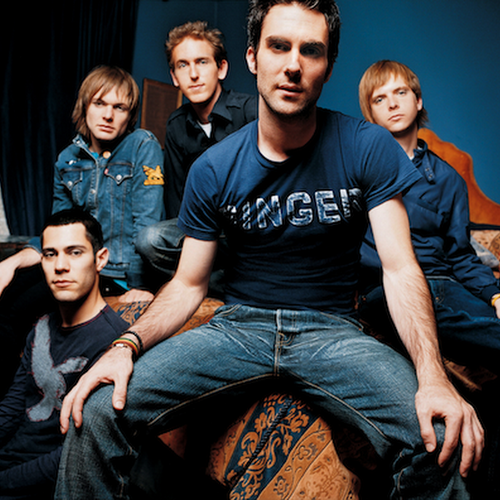 LEVINE, ADAM / CARMICHAEL, JESSE ROYAL / DUSICK, RYAN MICHAEL / VALENTINE, JAMES B. / MADDEN, MICHAEL ALLEN. 2012. Kotecha, Savan Harish / Martin, Max / Schuster, Johan Karl / Levine, Adam Noah. 2012. MARTIN, SAMUEL DENISON/LEVY, MASON DAVID/LEVINE, ADAM NOAH/MARTIN, MAX. 2012. LEVINE, ADAM / TEDDER, RYAN B. / ZANCANELLA, NOEL PATRICK. 2012. WEST, BRIAN / MOGA, MARIUS / LEVINE, ADAM. 2012. Motte, Nathaniel / Levine, Adam / Tedder, Ryan / Zancanella, Noel. 2012. VALENTINE, JAMES / LEVINE, ADAM / MADDEN, MICKEY. 2012. LEVINE, ADAM / VALENTINE, JAMES. 2012. CAMERON THOMAZ, BENJAMIN LEVIN, ADAM LEVINE, AMMAR MALIK, DANIEL THOMAS OMELIO, JOHAN KARL SCHUSTER, BENJAMIN JOSEPH LEVIN. 2012. Schuster, Johan Karl / Levine, Adam Noah. 2012. Malik, Ammar / Levin, Benjamin / Levine, Adam Noah. 2012. DOUMBIA, MARIAM / ROTEM, JONATHAN / MOREAU, MARC-ANTOINE / ALBARN, DAMON / GOLAN, ROSS / LEVINE, ADAM / SINGH KANG, SANJEET. 2012. GLEN HANSARD, GLEN JAMES HANSARD. 2012. BALLARD, GLEN / PRINCE, CELESTE NOELLE. 2012. ALICIA AUGELLO-COOK, ALICIA J AUGELLO-COOK. 2012. BENJAMIN JOSEPH LEVIN, ADAM LEVINE, AMMAR MALIK, JOHAN KARL SCHUSTER. 2012. ADAM LEVINE, JAMES VALENTINE, JESSE ROYAL CARMICHAEL, MICKEY MADDEN, RYAN MICHAEL DUSICK. 2012. ADAM LEVINE, MARTIN KARL SANDBERG, JOHAN KARL SCHUSTER, SAVAN HARISH KOTECHA. 2011. BENJAMIN JOSEPH LEVIN, ADAM LEVINE, AMMAR MALIK, JOHAN KARL SCHUSTER. 2010. FARRAR, SAM JOHN/LEVINE, ADAM NOAH/CARMICHAEL, JESSE ROYAL/MADDEN, MICHAEL ALLEN/VALENTINE, JAMES B. 2010. LEVINE, ADAM / CARMICHAEL, JESSE ROYAL / VALENTINE, JAMES / MADDEN, MICKEY. 2010. LEVINE, ADAM / CARMICHAEL, JESSE ROYAL / VALENTINE, JAMES B. / MADDEN, MICHAEL ALLEN. 2010. LEVINE, ADAM / CARMICHAEL, JESSE ROYAL / MADDEN, MICKEY / VALENTINE, JAMES. 2010. Samuels, Harmony David / Madden, Michael / Carmichael, Jesse / Valentine, James / Levine, Adam. 2010. AUGELLO-COOK, ALICIA J /. 2010. ADAM LEVINE, JAMES VALENTINE, JESSE ROYAL CARMICHAEL, MICKEY MADDEN. 2010. ADAM LEVINE, JAMES VALENTINE, JAMES B. VALENTINE, JESSE ROYAL CARMICHAEL, MICHAEL ALLEN MADDEN, MICKEY MADDEN. 2008. LEVINE, ADAM / CARMICHAEL, JESSE ROYAL / DUSICK, RYAN MICHAEL / VALENTINE, JAMES / MADDEN, MICKEY. 2008. ADAM LEVINE, JAMES VALENTINE, JESSE ROYAL CARMICHAEL, MICKEY MADDEN, RYAN MICHAEL DUSICK. 2007. LEVINE, ADAM / CARMICHAEL, JESSE ROYAL. 2007. CARMICHAEL, JESSE ROYAL / DUSICK, RYAN MICHAEL / LEVINE, ADAM / MADDEN, MICKEY / VALENTINE, JAMES. 2007. Adam Noah Levine;Jesse Royal Carmichael. 2007. LEVINE, ADAM / CARMICHAEL, JESSE ROYAL / DUSICK, RYAN MICHAEL / VALENTINE, JAMES B. / MADDEN, MICHAEL ALLEN. 2007. LESLIE BRICUSSE, ANTHONY NEWLEY. 2007. LEVINE, ADAM / CARMICHAEL, JESSE ROYAL / MADDEN, MICHAEL ALLEN. 2007. LEVINE, ADAM / VALENTINE, JAMES B..
2007. JOHN WINSTON LENNON, YOKO ONO. 2007. Adam Noah Levine;Michael Allen Madden;Ryan Michael Dusick;Jesse Royal Carmichael. 2007. FOSTER, RONNIE/DAVIS, JOHN E/TAYLOR, MALIK IZAAK / MUHAMMED, ALI SHAHEED/SERMON, ERICK S/MOORE, WARREN. 2007. ADAM LEVINE, JESSE ROYAL CARMICHAEL. 2006. LEVINE, ADAM / CARMICHAEL, JESSE ROYAL / DUSICK, RYAN MICHAEL / VALENTINE, JAMES / MADDEN, MICKEY. 2005. LEVINE, ADAM / CARMICHAEL, JESSE ROYAL / DUSICK, RYAN MICHAEL / VALENTINE, JAMES / MADDEN, MICKEY. 2005. LEVINE, ADAM / CARMICHAEL, JESSE ROYAL / VALENTINE, JAMES / DUSICK, RYAN MICHAEL / MADDEN, MICKEY / PENNIMAN, RICHARD W. / SPIEGEL, SAM. 2005. GALLAGHER, NOEL / GLITTER, GARY / LEANDER, MIKE. 2004. 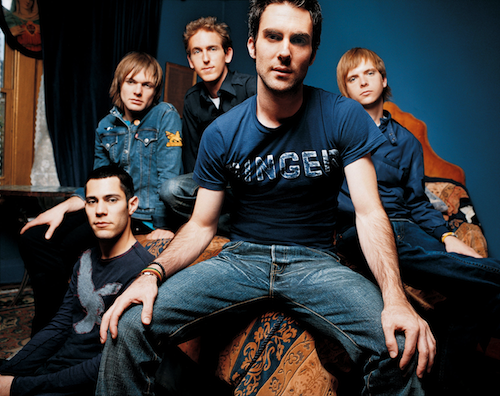 LEVINE, ADAM / CARMICHAEL, JESSE ROYAL / DUSICK, RYAN MICHAEL / VALENTINE, JAMES B. / MADDEN, MICHAEL ALLEN. 2004. LEVINE, ADAM / CARMICHAEL, JESSE ROYAL / DUSICK, RYAN MICHAEL / VALENTINE, JAMES / MADDEN, MICKEY. 2004. Paul Mc Cartney;John Lennon.